When professional men with busy life styles are looking for a serious relationship, they turn to a small group of matchmakers who are trusted by the elite. An affiliate of one of these well known companies is Hunting Maven of New York City, offering New York City matchmaking services for the ultra wealthy. Forbes recently found 4 companies that are used consistently by the rich and famous. One of the matchmakers is Janis Spindel. Her long-time affiliate, Julia Bekker is the founder of Hunting Maven serving New York City and surrounding areas. 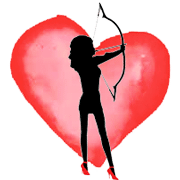 Elite professional matchmakers have a high success rate so they are worth every penny to someone who does not have the time and wants to just find that special someone. There are lots of documented stories of people paying the higher fees with great success. Hunting Maven has well connected networks and is constantly out in the scene meeting and mingling at events with a large variety of people and organizations. The recruitment process is very selective with full vetting. They’re always on the look-out for that special someone for the client. They also get to know the clients, not just match on a handful of criteria or with an algorithm. With their vast experience they can cut to the chase and see things in people that make someone unique to find that perfect match. Once they get to know the client, a targeted search is conducted based on that client’s specific criteria with all candidates personally interviewed face to face to be sure they are a possible match. Clients will only be presented with those matches who have undergone this hands-on process. For women the process is free. They simple fill out a “For Her” registration form to be considered as a candidate. For men, they are the client. Similarly, they fill out a “For Him” registration form. Men will be contacted for a meeting. If a woman is selected by one of the elite men clients, they will be contacted for further screening. Why professional men with busy life styles choose us as the best matchmaker in NYC, Offering New York City matchmaking services for the ultra wealthy.